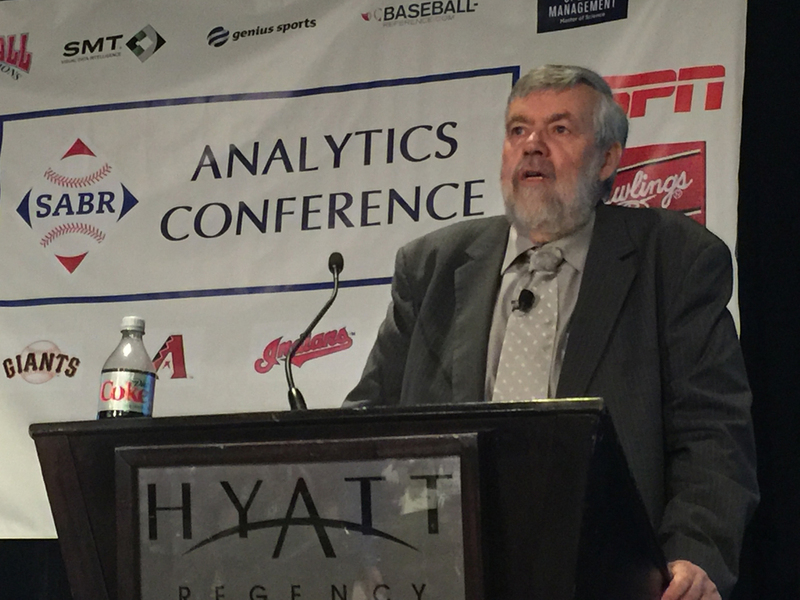 Forty years after Bill James first published his annual Baseball Abstract, the sabermetric pioneer returned to the SABR Analytics Conference to pose a series of insightful questions about the future of baseball analysis on March 10, 2017, in Phoenix, Arizona. 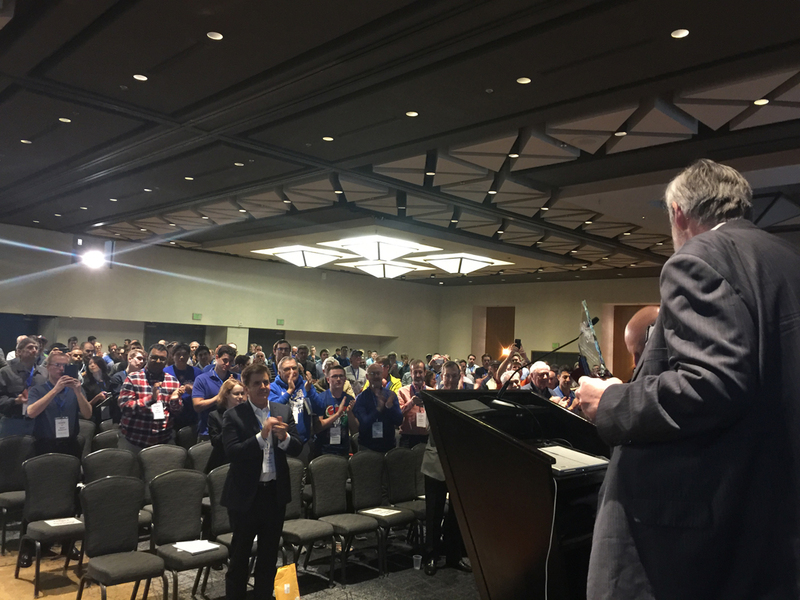 Following his talk, James was honored with the inaugural SABR Analytics Conference Lifetime Achievement Award for his enormous contribution to the game of baseball. James is the best known baseball analyst in the world and a prolific author of many books, including the Historical Baseball Abstract, Win Shares, Politics of Glory, The Bill James Gold Mine, and the annual Bill James Handbook. He is a founding member of the SABR Statistical Analysis Research Committee and was a recipient of the Henry Chadwick Award in 2010. Since 2003, he has been a Senior Advisor on Baseball Operations for the Boston Red Sox. The team has won three World Series championships during his tenure. For more coverage of the 2017 SABR Analytics Conference, visit SABR.org/analytics. This page was last updated March 11, 2017 at 3:11 am MST.